The Amish Carlisle Oval Shaker Pedestal Table features a lovely transitional style which blends traditional and contemporary design characteristics for a gorgeous blended design for the modern home. 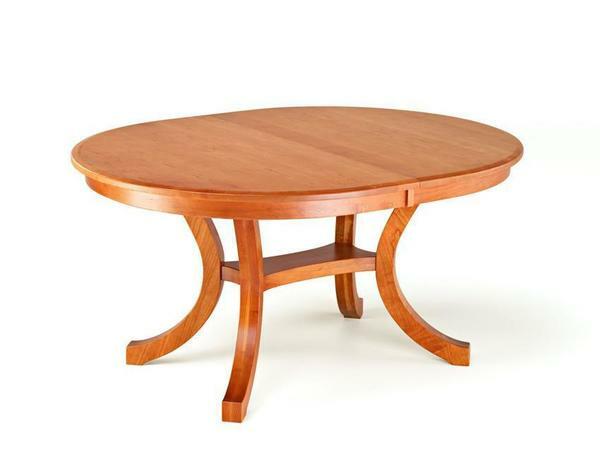 Great for both formal and daily dining, this shaker pedestal table is truly versatile in its function. Pair this gorgeous table with some contemporary or transitional style dining chairs, or add dining chairs and a dining bench to a rectangular-shaped table for a different look than the traditional table and chairs in your dining room. Contact DutchCrafters, and speak with an experienced and friendly furniture specialist to begin creating the perfect dining table for your home.